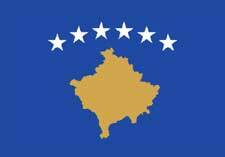 Kosovo, officially the “Republic of Kosovo” is a relatively recognized country in Southern Europe. Physically landlocked, the country is bordered by Montenegro towards the west, Macedonia towards the Southeast, Albania towards the Southwest, and Serbia towards the North and East. After declaring independence, several United Nations members recognized the country but many countries also didn’t recognize it. The regions of modern Kosovo are rich in natural resources and due to this, the regions are inhabited since the Stone Age. Several ruins or remains of that era are still present in the country. In 160 BC, the region was occupied by the Roman forces during the expansion of their empire. During the middle ages, the region was being ruled by the Serbian Empire which subsequently fell towards the Ottoman Empire. The Ottomans ruled the region for a brief of period of time and remained their hold till the World War 1. Afterward, Kosovo was ceded to Serbia by the Ottomans which further became part of Yugoslavia. 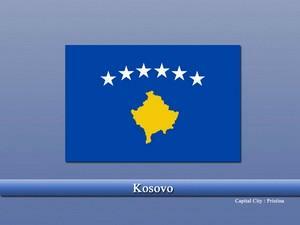 The country remained united till 2008 when finally, Kosovo declared its independence from Serbia. As described earlier, the country is landlocked but has a variety of other features including Alps, rivers, mountains, high valleys, and forests. Most of the biodiversity is protected by in the shape of National Parks. The parks are also home to various endangered and rare species. The economy of Kosovo is increasing with a swift rate since its independence. Also, due to various topological features, the tourism sector is growing since. Other sectors include agriculture, mining, appliances, textiles, food processing, etc. Islam is the largest religion in the country and was introduced during the Ottoman period. Today, approx. 95% of the country’s population is Muslim. Albanians and Serbs are the largest ethnic groups in the country. What can I do for prosperity? Vastu shastra for kids concentration?